Water damage can really put a damper on your home. When faced with this type of situation, give us a call at Utah Flood Cleanup, your premier Ogden Utah water damage repair and restoration experts. You can reach us at (801) 876-5225 for immediate service. Water damage must be addressed as soon as possible in order to keep it from worsening. 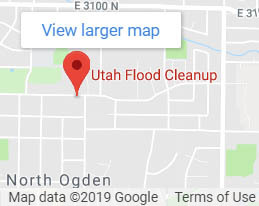 If your home is suffering from water damage, contact Utah Flood Cleanup and get things back to normal. We are available for 24-hour emergency assistance and will arrive on time to help you recover from your water disaster. Take a look at our latest customer reviews. How do you know that Utah Flood Cleanup is right for you? We put your safety and comfort first and work with you and your family to get your life back in order after a water disaster. Our experts will arrive in a fully-equipped vehicle prepared to take on any sort of water damage issue. Make sure to call us as soon as you experience a major plumbing leak or other water damage issue. The sooner we can get on the scene, the better chance we have of limiting further problems. 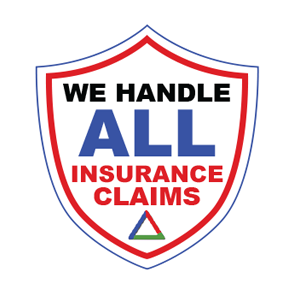 Contact us at (801) 876-5225 for a phone consultation and inspection on insurance-covered water damage — both at NO EXTRA CHARGE. The benefits of professional water damage repair? The technicians at Utah Flood Cleanup are experienced in managing even the toughest of water damage problems. When you work with our experts, you can rest assured that the procedures will run smoothly. We start working as soon as we arrive and evaluate the damage. 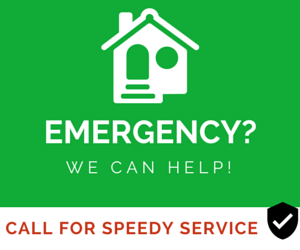 It is vital to get the problem solved as quickly as possible and we will work hard to allow you safe access to your home again. We provide a complete evaluation of the property damage and make sure not to leave anything behind. We give you the steps to take to allow for a complete recovery of the damages area. What can you avoid with immediate restoration? One of the largest problems that any kind of water damage may bring is the potential for mold growth. It is imperative that we get to work immediately because of the health hazard that mold growth poses. Through immediate restoration, you are able to keep your replacement costs down for furniture and other items. We give your furniture the best chance at recovery and take care of any remaining water issues that may exist. The sooner we get started, the sooner you can get back into your property. Water damage can be caused by many factors such as the weather, burst pipes, and weakened plumbing lines. When a pipe bursts, the water must be turned off immediately because it will continue to leak. An overflowing toilet that is spilling waste and water into your home is also a situation that demands professional water damage repair services. Utah Flood Cleanup provides quality solutions at an affordable price. We even offer financing options. Set up an immediate appointment with our Ogden Utah water damage repair and restoration team by calling (801) 876-5225.